Most of us have mixed tapes (not tapes, but you know) of our favorite live performances by David. His live shows always seem to bring the best out of him, his voice is always so magical when he’s connecting to us this way. I’ll allow myself 16, it’ll be difficult..
To Be With You – Love this song, but maybe because of the live versions. Not sure. Keeping it though. Let Me Go – VERY under appreciated (by me) until recently. He ROCKS it out. Somebody Out There – Duh. I’ll never not love this special song. Good Place – My very favorite thing he’s ever done, ever. I love the produced, recorded version. I love the live, acoustic one that I was lucky enough to hear. Both make me weep. Every word of this song is gold. I still want to stencil the chorus on the upper part of my kitchen wall. This song means so much. Parachutes and Airplanes – His voice is so stellar here. The word blue, is all I’m saying. You are My Song – Gah. Love this song. From the first. Pretty love song. Tell Me – He sings this sad song so well. Awww. Anya will come back, don’t you worry. 😉 Love the piano as well. Don’t Give Up – This ended up being one of my most played on Begin. It tortures me. Sad. I don’t want to hear about anyone else attempting to sing this. Cause he’s already done it. Angel – Heartbreaking. I heard this after I heard the news of Cory Monteith’s death in a hotel and just cried. I’m not even a fan of his. But it is so sad, and the words “dark, cold, hotel room.” I just couldn’t take it. Broken – Gorgeous and so David. Obviously. The world really needs to hear this. For their own good. Be Still My Soul – This song has such a beautiful message and sometimes I can’t tell when his voice ends and the violin begins. So real, so meaningful. I just realized that my choices are very ballad-y. His voice is just so perfect on them though! Betsy is a staff writer for The Voice. 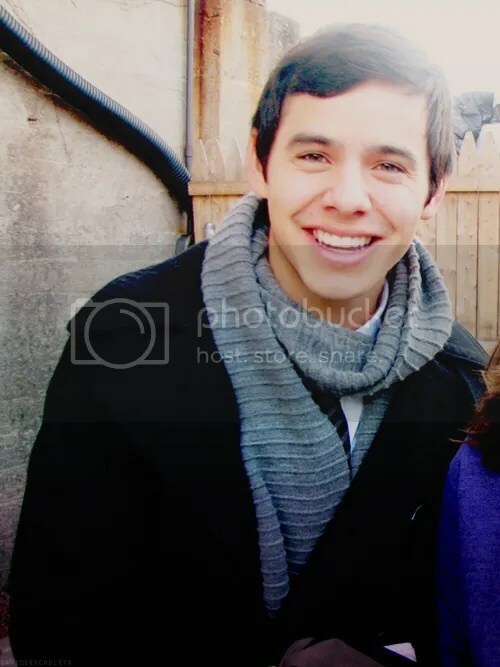 This entry was posted on Saturday, July 20, 2013 at 10:00 PM	and is filed under David Archuleta, music, The Voice. 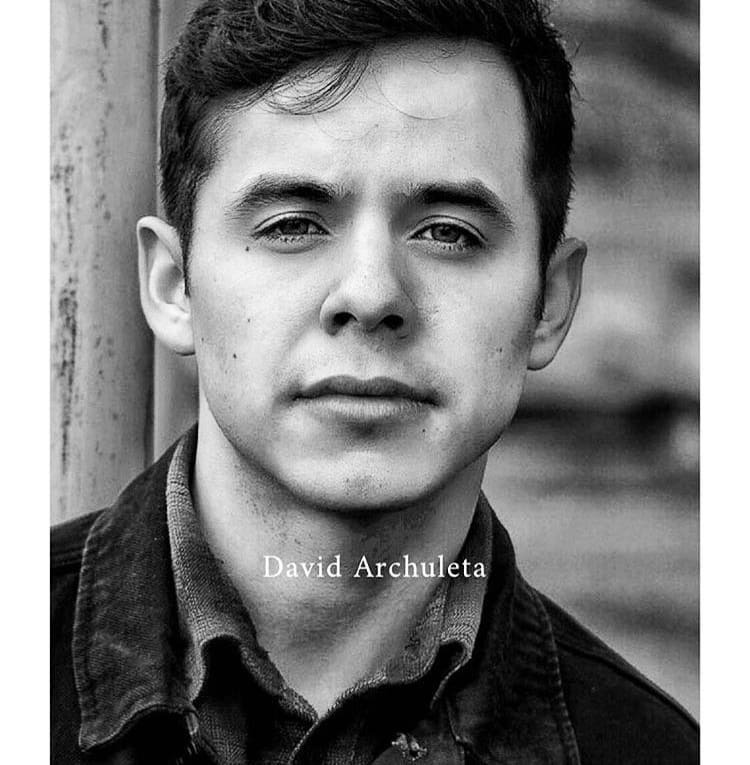 Tagged: Cause he's already done it., David Archuleta, Songs he owns, the Voice, Ultimate Setlist, What do you love?. You can follow any responses to this entry through the RSS 2.0 feed. You can leave a response, or trackback from your own site. Dang! I knew it would happen. That balloon descended before I could get back here and think through how I wanted to say how much I enjoyed the Southern Utah adventure (and the David connections). I did enjoy it, very much. Thank you! Now Betsy delivers this sweet article about the music that is sure to have us all thinking and reminiscing. Not only that, she ends her piece with an invitation to talk about David? Well, OK, I accept. I will be back. Sooner than later this time. Hope all here are well. Still visiting and reading. 2. “Angels” For me, David’s “iconic anthem.” My “go-to” calming song. CFTH 1. “Silent Night” First on cd to get me; “Loves Purrrre Light” still literally makes my knees go weak. (an affect, only David has on me, many times since.) Like a prayer set to music. TOSOD Hard to pick ‘cuz I see this cd as a cohesive compilation, with every song beautifully crafted into the whole…but, forced to cherry-pick…. 2. “Elevator”…grew and grew on me. The hums at the beginning, *sigh* worth the price of admission. Reflects David’s quirky outlook. 3. “Who I Am” & 4. “Look Around” …love the messages and melodies. 5. “Good Place”…same as all you say, Betsy. I’ve often wanted to place that quote somewhere in my home too…poetry from a poetic soul. 1. “Rainbow” Loved the remix & video…sunny, happy, laid-back-cool, pure David. Does anyone else think that last note at the end on the original sounds like a raindrop? 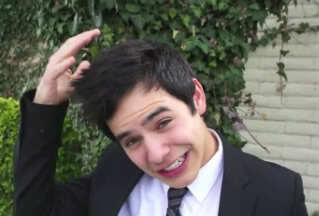 Seems like one of David’s playful “winks” & makes me smile. Begin~ With you, Betsy,,, “Don’t Give Up.” Immediate favorite, esp. the line you quoted. You know when you’re climbing to the top of a roller coaster, anticipating the rush down? THAT is how that line comes to me…I anticipate, raise the volume, then the rush of emotion. His vocals are so appropriately poignant in this song. “Angel” …heartbreakingly understated; the subtle yet powerful hums at the end express more than words could. 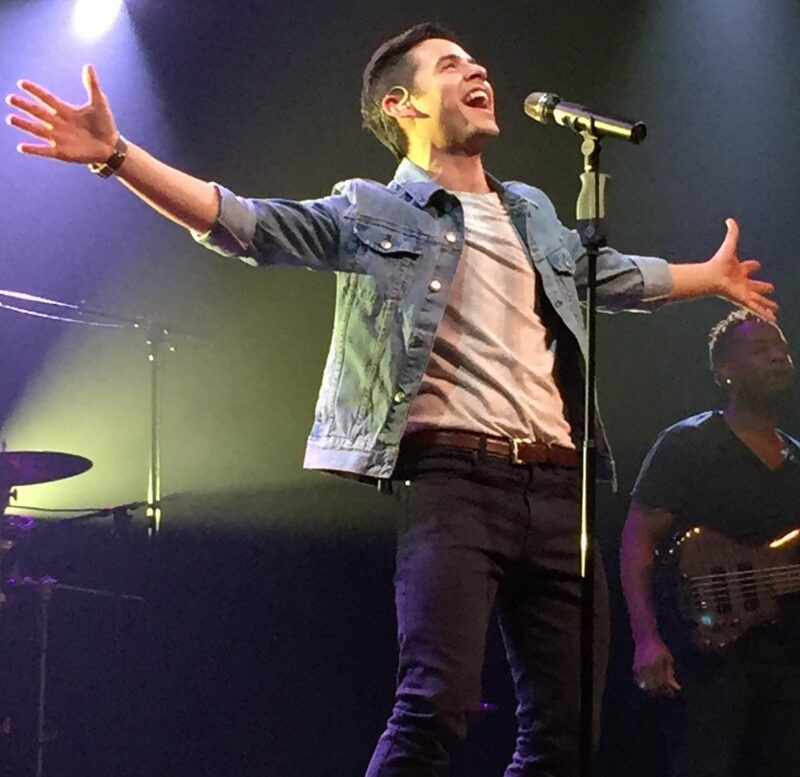 NMHF~ “Heart Falls Out” I love songs with soaring vocals in his sweet spot, and this has it. The bridge, alone, in rotation, makes me happy. Covers~ “Apologize”…(he’d likely cringe to read this but) this is David’s song now. Live~ “Angels~Tulsa OK, Idol tour”…otherworldly. You can’t quite see it straight on here but on “If I could wish upon tomorrow, tonight would never end” he was singing and smiling to the swooning girls up front and the twinkle in his eyes was priceless. I have made “favorites” CDs, several times actually since they change with time. Right now, I’m stuck on the Forevermore songs and a few from NMHF. From BEGIN. Don’t Give Up. I’m not a big fan of the MV for this one, but the song is gorgeous. I love his tone in this one and the background vocals are to die for. I’d also add one of my favorite performances. Elevator at Z100. That one just blew me away. I’m not a huge fan of the original on the CD but I like him performing it and the way he plays with the audience. When I hear this version, his voice and the change ups make me smile because they are soooo David. There are so many more, but I’ll stop now before I take up the whole page. I need to do my list ~so many fabulous songs to choose from, each with their own “special something”. One thing you said about “My Kind of Perfect” reminded me where I was when I heard “Good Place” which remains one of his songs that just makes my heart melt when I hear it…every time. 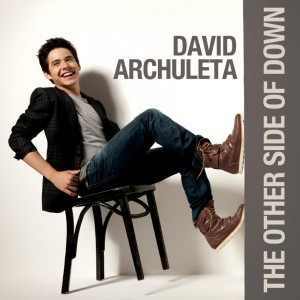 I agree this song carries deep meaning for David and his fans as well~tugs at my heartstrings. I will be back to read BETSY!!! DavidArchuletaFanScene.com has closed its doors. They were away fishing but they will not be returning. Always sad to see something so good gone away. They were a great team and did so much to support David. I truly understand their reasons though and we will see them again hopefully, but in different places! Betsy,love your post, and love your song selections. …wow, this is going to be challenging…ha! My greatest hits cd is definitely gonna have to be a Double Cd. Betsy, I love this post! I’m going to have to do some thinking, prioritizing, cagatorizing, and more thinking!!! But, for now, I’ve put Ave Maria in the same group as Be Still My Soul. It may be generally known as a Christmas song, but I like to think of it more as a prayer, a moment of reverence that can happen any day of the year, at any time of the day. Great post, Betsy, and great choices! It is a real challenging post, isn’t it Tawna21? Got all my cds out and had to actually try and pick my favorites, which is not an easy task! 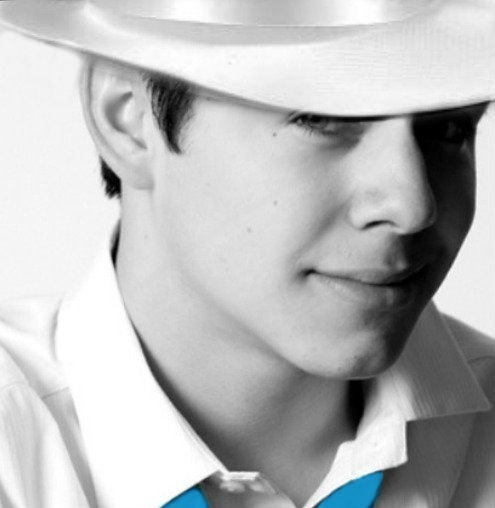 It would really be hard to compile a cd of my favorites because I love all his songs! 🙂 There are some I love more tho and here is a small sample! DA–My all time favorite is “Angels” from the first time he sang it on AI and then in Tulsa–WOW!! Love “Crush” because that’s his 1st big hit and I actually heard it 4 times ON THE RADIO on ONE day! 🙂 Also have it as my ringtone and won’t change it for some reason! Love “Don’t Let Go” and when he added “I know how to save a life”, wow again! 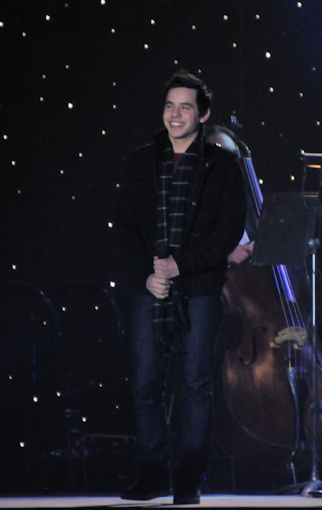 CFTH–“O Holy Night”, “What Child is This” and “Ave Maria” sang in Latin…only David could do this! 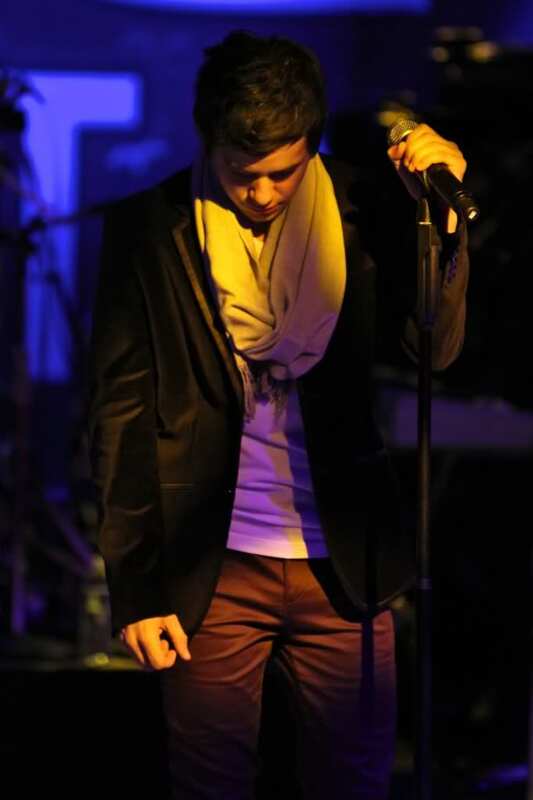 TOSOD–All time favorite “Good Place” before he sang it at the last MKOC concert VIP. Words really took on a new meaning after he made his announcement! On the TOSOD ATE– I love “Wait” and “Zero Gravity” on the bonus tracks. GCT–“The Cat and the Mouse Carol”–it really grew on me. Begin–“Everybody Hurts”…”don’t raise your hand”…just love that part, I always sing it with him! haha “Don’t Give Up”, “Broken”…love them all too! NMHF–“NEBTD” and the a lot of my favs that are already mentioned are on here too! They give a pretty good detailed explanation on their site. I believe I can say that cost, availability of people to run a site any site can change and everything changes as years go by. There is is certain element of uncertainty that can add to decision making. Without knowing David’s plans, it is all of those things to consider. That is just my own take on what I read.. The part about the number of years running a site can bring changes for anyone. Thanks guys, I love all the choices! How could I have forgotten Everything and More?? Betsy, so fun to wander through all of David’s best. Sky, so true there is nothing else better to do than pick out favorites. I plan to spend a whole lot of time doing just that. Jan, it really tickled me that you would include Above the Northern Lights. I have spent many days with that song. Also, at a VIP when I told David how much I loved it he started to sing it to me. Still have not recovered from that moment. Don’t intend to either. Archugeezer, great to have you remind us of post-concert dinners and extolling the virtues of David. Am soooo longing to do those things once again. That afterglow from a concert and VIP absolutely calls for a bunch of fans to share. Really helps with the letdown of realizing David is no longer in the room. Barriers – I loved it from first listen!! Seeing it live in Sayreville was a thrill, remembering when David got caught up in the moment and had to stop for a minute and then picked it back up seamlessly. It has a tropical feel, is full of energy and is just a feel-good song, even if it’s about a breakup. 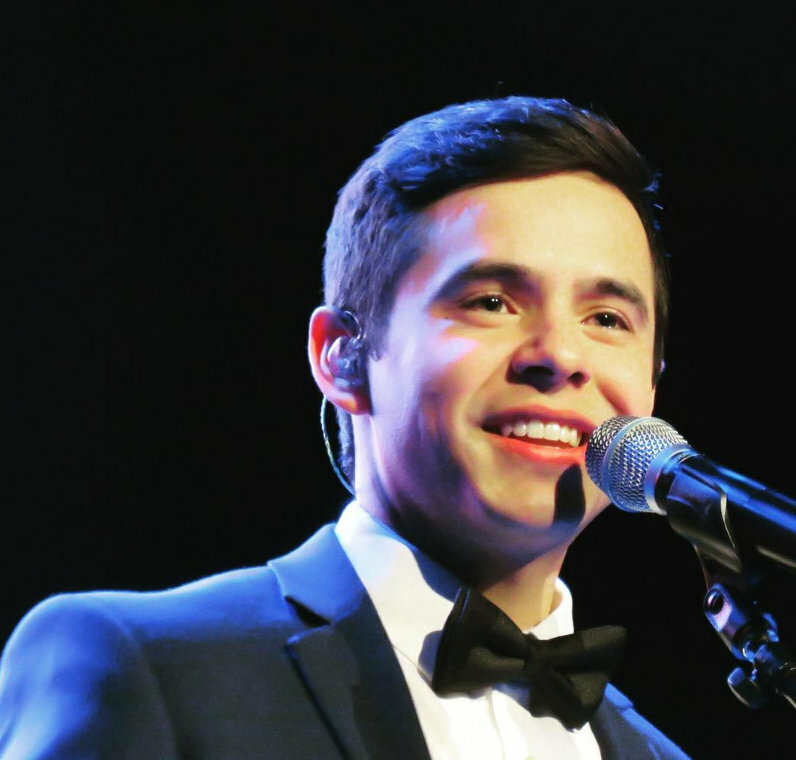 To Be With You – It’s the ultimate love song and David always delivers a remarkable performance! Betsy, Remember the night we stayed up late playing every single video we could find of TBWY? Waiting for Yesterday – A bonus track that should have made it to the album! Another upbeat song about a breakup. Love love love it done live and the “treatcha like he did” little catchy phrase. 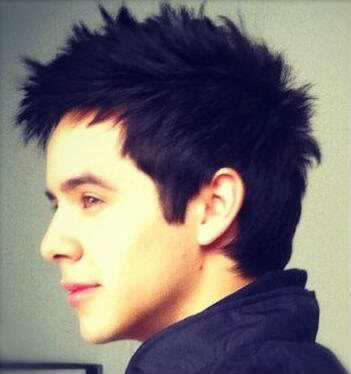 Tell Me – David is the king of ultimate love songs and I’m addicted to them. The piano isn’t even needed in this song; his voice is pure music. This heartbreaking song will always remind me of Josh and Anya of Nandito Ako. One of my top ten favorites, for sure! Falling Stars – This song comes on in chat and everyone points to me. LOL Loved it from first listen and it all started with the snippet Eman teased us with on Twitter. It’s a painful love song and I love the effortless changes to and from his falsetto. In Falling Stars, David’s voice takes my breath away. Love the crescendo and the background vocals too. Something ‘Bout Love – Aarghhhh I predicted this song to be a huge hit! It had HIT written all over it! Jive fail!!!! The writers of this song had so many mega-hits it was shocking when this song didn’t make it! It’s such a huge song, with a catchy beat. My Kind of Perfect – I love this because it’s David speaking to us. Simple lyrics, simple melody and he makes us understand. Don’t Give Up – Betsy, This song kept us up for hours one night and that one line in particular that you cited, “Got to walk out of here I can’t take anymore…”. I played every other version on youtube by anyone who has covered this song and nothing compares to David’s. Nothing Else Better To Do – Fun lyrics, catchy tune, great phrasing. It’s going to be awesome LIVE! Broken – HIs voice on this is perfection. Those high notes are intoxicating. And the lyrics. He knows instinctively how to deliver. Reaching Out – I’ll love any feel-good song David sings.This song just makes me feel good from the humming at the beginning all the way to the end. Somewhere Only We Know – I love The Beatles feel in this song. Everybody Hurts – I will never listen to the original of this song again. David owns it. When You Say You Love Me – I missed the Idol Tour and am obsessed with this song. I pray he will agree to record it or sing it live again one day. Los Pastores A Belen – HIs voice is almost operatic in this song. I love the playful melody, the mic move at the end and I love when he sings in Spanish! I greatly admire all of the songs you have mentioned Betsy. I feel they are all very special, unlike most other songs I listen to at this time. We have been saying all of these months how much we enjoy and appreciate his music which is a phenomena in itself. We must be in the Guinness World Book of Records for that, but there is no one else I would care to talk about for all that time. Betsy! 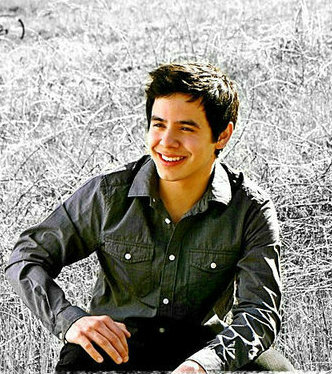 I have to pick and that is very difficult for me lol I didn’t even pick David it’s like he picked me! But before I compile my list David shared today! IN SPANISH!!!! Some words from David to share today! We don’t live for the moment, but for eternity. I listen to music mostly in the car. Angel is the song I put on repeat. It’s just beautiful.The BEGIN & TOSOD ATE are my favorite albums. Love Don’t Hate, Everything and More, and My Kind Of Perfect are stand outs for me. I do like the other albums but I lean toward the live concert mp3’s more often. I like the energy from the crowd and hearing David’s banter. A couple of old songs from when he was young, Angels In The Alleyway and The Most Beautiful Part Is, are what I go to for a different sound. David sends a message to fans from Chile! I must have all the “love my country” songs, America the Beautiful, SSB, My Country Tis of Thee. 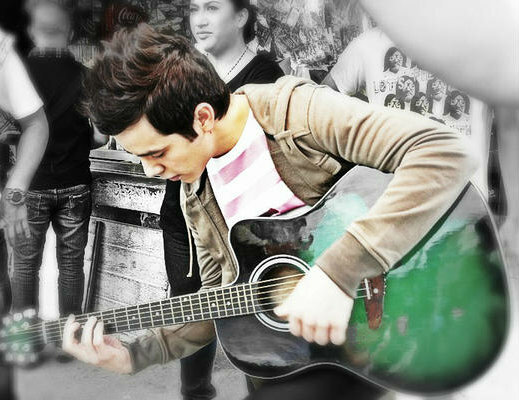 Most of my can’t live without music are ballads. Fields of Gold, You Can, To Be with You, Tell Me, You are My Song, Broken, Everybody Hurts, Broken Road. Not done with these, just quitting. Must have lots of Christmas music, but won’t list them because it is July. Except Oh Holy Night, The First Noel and Little Drummer Boy which have become more than Christmas music. Totally acceptable year round. And the quirky Works for Me, Not a Very Good Liar. 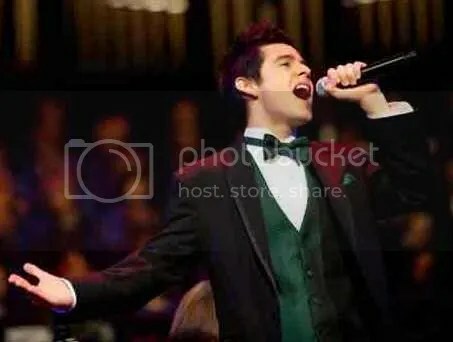 And those he has shared the stage with the original owners, like Apologize and Nandito Ako. With complete respect, humility and authority he obliterates any claim another singer might wish for. SB, we should compile a list of the world records David owns and submit it to Guinness. There are so many appropriate categories: musical knowledge, best voice, most interesting neck, nicest person ever, most loyal fans, cutest this and that. Good Place – My list is not in any particular order, but this song would be at the top of every list I make, for all the reasons you have mentioned. Nothing Else Better to Do – David delivers a calypso-ish tropical treat—25 hours every day. You Can – Simple. Special. Long and Winding Road – I see in my iTunes file that I have returned to this one frequently. When David sang it on AI, I was completely gobsmacked by the absolute purity of his voice and the way he delivered the message. When Randy told him he could have added a few runs and take a few more liberties with it, I thought, “No, no, no…” David knows exactly what to do with a song. “Love Me Tender” and “And So It Goes” also fall into this category. Works for Me (Live) – David is so good with this live. You can tell he likes the song, and he makes subtle changes that make it fun. I have seen him be emphatic, explanatory, jazzy, playful, and even a little sassy. He can do it all. Save the Day – Can’t explain this one. I just like it—David’s voice, the production, the harmonies. My Kind of Perfect, and then Forevermore – Beautiful love songs in life’s proper order. What Child is This? – I don’t know how, but David sings this with simultaneous expressions of joy and reverence, like he was there. Touch My Hand (AOL Version) – Fantastic concert opener, but in a recorded version, the AOL session offered some extra oomph. 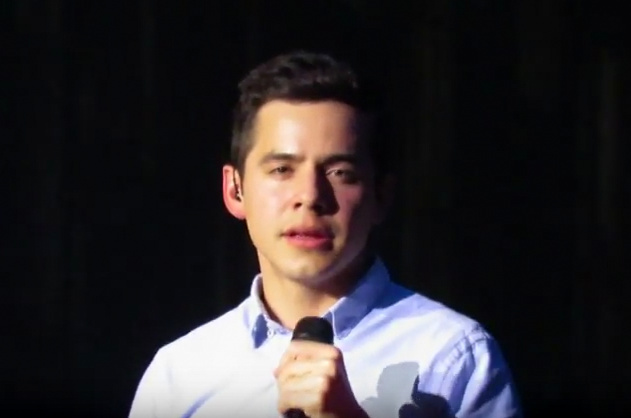 Parachutes and Airplanes (Live – Rexburg Version) – I go here for the memories of an incredible concert experience: electricity in the air, most rousing reception for David I have seen to this point, David loving every minute and wanting to share new music with us. The house went crazy and stayed crazy. Tell Me, and Wait – Musical angst at its best. 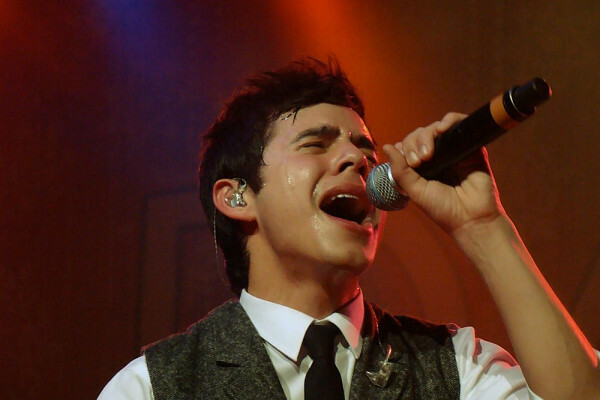 Nobody can cry-sing like David Archuleta. Gets me every time. Waiting for Yesterday, all of BEGIN, and… Sorry! This is way too long and there are so many more. I see others are having the same problem, so I need to stop. Thanks, David. Hurry back. Life has been kind of crazy but have enjoyed reading if not posting. First important thing I didn’t know until today, Deseret Books has Glad Christmas Tidings for 2.99 and 2.99 shipping no matter how many you buy. So I bought a bunch and plan to gift them to every library and retirement home I can find. Excited. Songs: Yes, it is like picking between your children. Your Eyes Don’t Lie– I love any song where he gets sassy! Angels– Touches my heart everytime I hear it. Oh Holy Night–especially after the announcement. Ave Maria– are you kidding. Look Around–love it, especially the lyrics, Something Bout Love– So catchy and again love the lyrics. Works For Me– more “sas” Zero Gravity–absolute joy! Broken– there are no words. Be Still My Soul– I hear your soul. 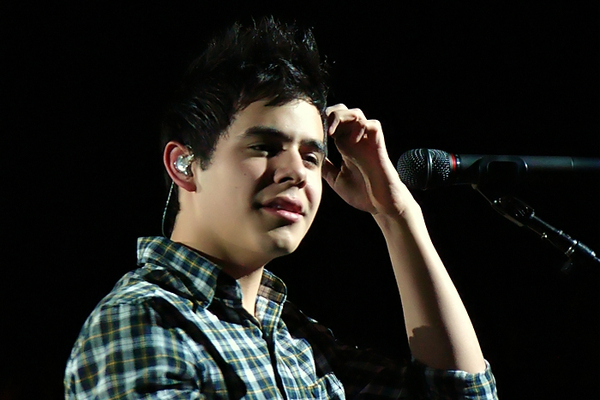 Everybody Hurts– David owns it. NEBTD- so layed back , just makes me happy. Everything and More– I feel like I am soaring too. I forgot to say anything about Glad Christmas Tidings,,,, every single second. Crush – I set the alarm for 5am to watch that baby get born; the joy in his face is something I will never forget. It was his first produced song and only radio hit so far and NOT just because it had promotion. It was a hit because it DESERVED to be one. 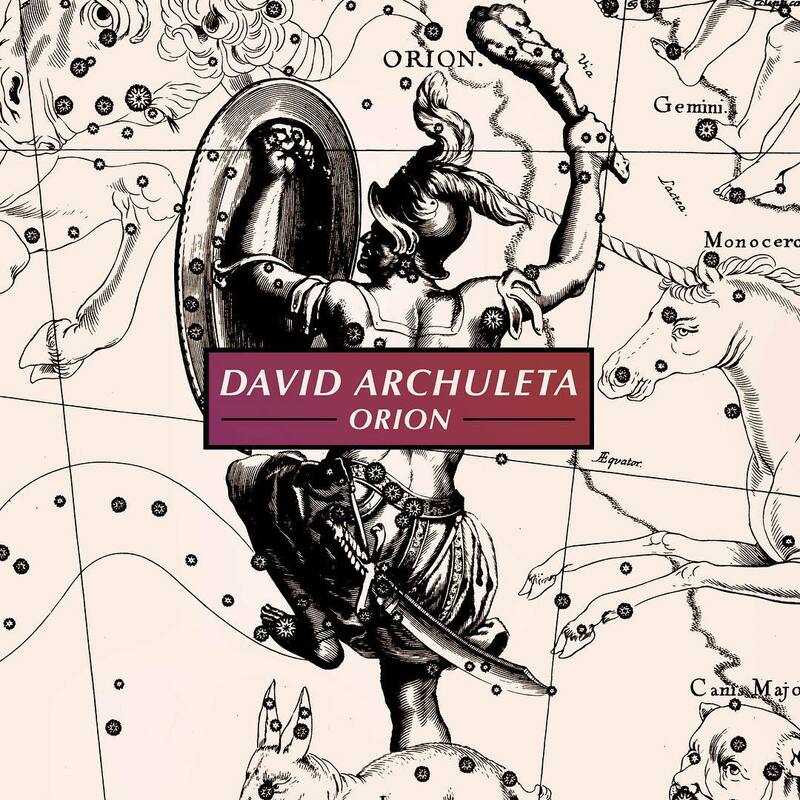 A mature, sensual beat coupled with stellar vocals and innocent/timeless lyrics about something “that everyone can relate to, no matter the age,” to paraphrase David himself. I know a lot of folks are tired of hearing it because he sings it at every concert, but it is a huge milestone in his career. And it still gives me goosebumps when I hear the intro and know it’s coming. Crazy – Because he changed it up to make it something totally different than the original that Gnarls Barkley had a hit with and in a way that was just pure, raw, primal wailing soulful genius. Contigo en la Distancia – The emotion he summons up is so powerful and his vocals so flawless on this Spanish love song delivered at the Alma awards, that I still believe it to be one of the best performances of any song, by any singer, on any stage, anywhere, ever. okay gonna give this a shot Betsy! Love all you guy’s choices. Thanks to Abrra♥ and her “D- licious” candy jar,we can have our own greatest hits cd at our fingertips. Barriers,and My Hands are standouts for me on the first cd, his voice just soars in a venue with those songs. I’m Trying to be Like Jesus… brings me to tears,every time I listen, he sings it with childlike beauty and goodness,innocence and sweetness,and I’ve never heard anything like it.Simple and yet powerful in its message of Love. Impossible to name just one favorite! Yay! I’m with Bebe re: the videos..tku! Whoever found “the essential” “You Can, Htfd” video (of course it was DJBell’s! ..and not the one I had posted a link to), you guys rock….THAT’S the view from that night that is emblazoned in my memory, tks for finding it! Two other notes from reading all the great posts….Yes, Betsy, I said the same thing…how’d I forget Everything And More (thumps head)…one of my favorites! And Bebe, thanks for reminding me, Los Pastores a’ Belen…also one I’ve watched over and over in complete amazement, from MOTAB….I thought the same thing; he is almost operatic at the end. I mean really…that power and range…even shocked me. *sigh* is it 2014 yet? I’ve been patient ’til recently….but my withdrawal symptoms have now started to kick in full-swing. I want all the the lost footage of his vips, the stuff nobody has heard since the initial singing of them. Betsy, I’m going to give it a shot 🙂 in no particular order my first five. Save The Day – This song made me sob every time I heard it and I didn’t know why but I love it and his crying voice. Good Place – My initial favorite from TOSOD and then hearing it live in VIP at Nokia in Anaheim just blew me away. Contigo En La Distancia – A favorite song of mine since sung by Luis Miguel but by the time David was done with it, it was Luis Miguel who??? Nothing Else Better To Do – The melodies, the creative lyrics, that voice like no other, just puts me in a good place every time. Falling – Such a sad song and yet so full of hope at the same time. Loved the recorded version but the live partial performance just breathtaking. I have been busy – watching all the videos posted here. All those songs all of you picked are among my favourites too. I just want to add one – Love Me Tender. It kills me every time I watch the video on you tube. I hope he sings it again when he is in love! I’ll turn into a puddle of goo and never recover. What a feast of favorite videos! I wanna say my favorite video picture in this thread is at #8 for Tawna’s choice of Ave Maria. He looks so dignified. And gorgeous. Today I was sitting in the sun at an outdoor mall eating ice cream, enjoying the flowerbeds, thinking life was pretty awesome. Then a new song started on the background music. After the first 2 chords I knew it was Crush. Yesterday I had listened to Orla Fallon singing Silent Night. Her voice was so crystal clear and pure, I thought nothing could be better. 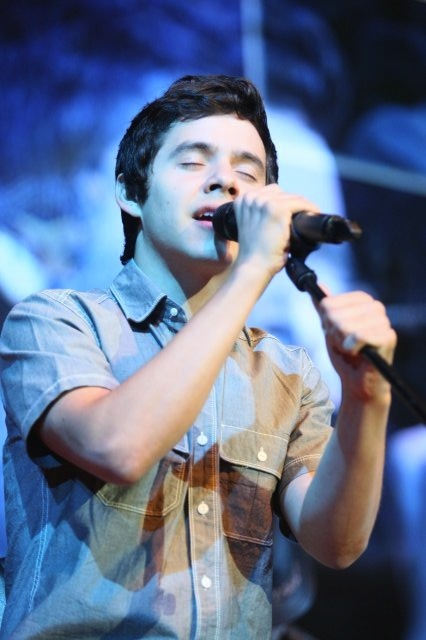 Then David joined in, his voice with such richness and depth. Even when I am content, David comes along and brings the rainbows to my life. Like Jan said, he is the whipped cream and cherry on top. And he does it all the way from Chile. Admin Edit: JR included all the parts of the show that David was in! Sweet video by pocoelsy. Good job lady! A video of the artist,Raymond J Lee, who is singng the song “Come Home”. It’s a cover of a One Republic song. 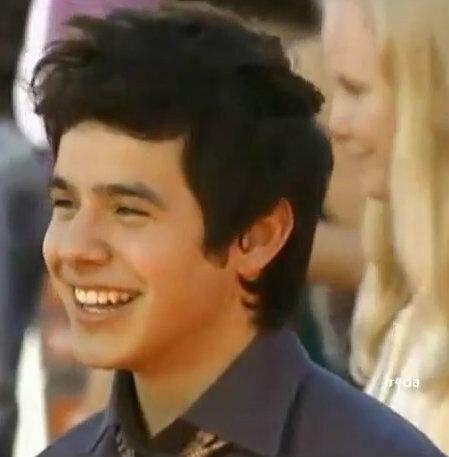 Its a good day when we can have a beautiful video about David and a lovely song. 28..yes! have to have “crazy” too! Especially since I heard him sing it live about 10 ft from me! And, “contigo”. Love both the younger and latest versions! 31…can’t leave out “heaven” either. That was the other song he sang 10 ft from me! 🙂 I’m so glad that I have all his albums and the ones from the candy jar…thanks, Abrra! Don’t have to worry about picking out a few. Love them all!! 39…pocoelsy, super video….making me miss him more, sob, sob. 🙂 And Mr Lee, great video and singing! Betsy, this is a tough one. So, I guess I will just list the songs that are on the current CD that I Iisten to in my car, because to be honest, it changes. All I really need is the voice. Angels – I will listen to this song for as long as I am here. Heart Falls Out – just really like this song. Love Don’t Hate – loved it from the first time I heard it! And So It Goes – he blows the original away. Broken – “ooooooooooohhhhhhh”, I mostly listen to it when I am in a pensive mood, but it hits home every time. Long And Winding Road – and Love Me Tender, When You Believe. Simple brilliance. Stomping The Roses – another one I love from the first time I heard it. I always felt he was talking to his label. Good Place – exactly where it takes me. Elevator – soulful Z100 performance is my favorite version of this song! The Prayer – what can I say. Rainbow – I think I am the only one in the fandom that likes the funky, scratchy beginning. Who I Am, Look Around and Complain – great lyrics, message! And those backup vocals in Complain! Crazy – just crazy about every performance. 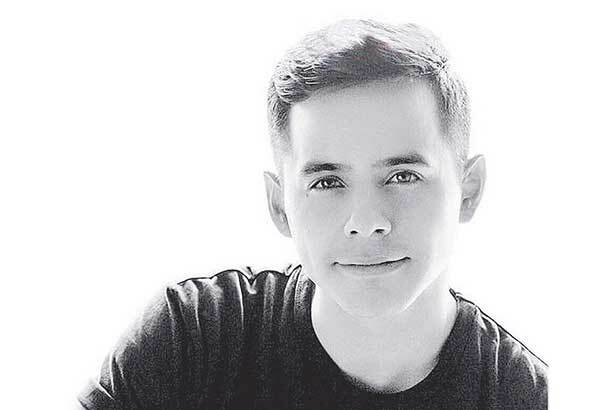 Your Eyes Don’t Lie – it’s been said, sassy David! Little Drummer Boy, The First Noel, Chestnuts, PatAPan, This Christmas, Mary Did You Know – I listen to year around. I am ready for him to be back. ‘GLAD’ ALL OVER: Holiday albums usually don’t go to No. 1 in July. 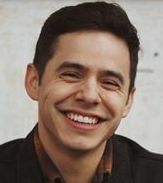 So season seven runner-up David Archuleta may have made chart history this week, as Glad Christmas Tidings, a Mormon Tabernacle Choir and Orchestra release that features the vocals of the American Idol alum, re-enters the Classical Catalog Albums chart in the top spot. The album also debuts at No. 25 on the Top Internet Albums chart and moves up 10-9 on the Christian Catalog Albums chart. There’s a good reason for the 2011 release suddenly doing so well in the summer of 2013. One internet retailer placed the album on sale, and the discount pricing generated enough sales to prompt the album’s chart moves. 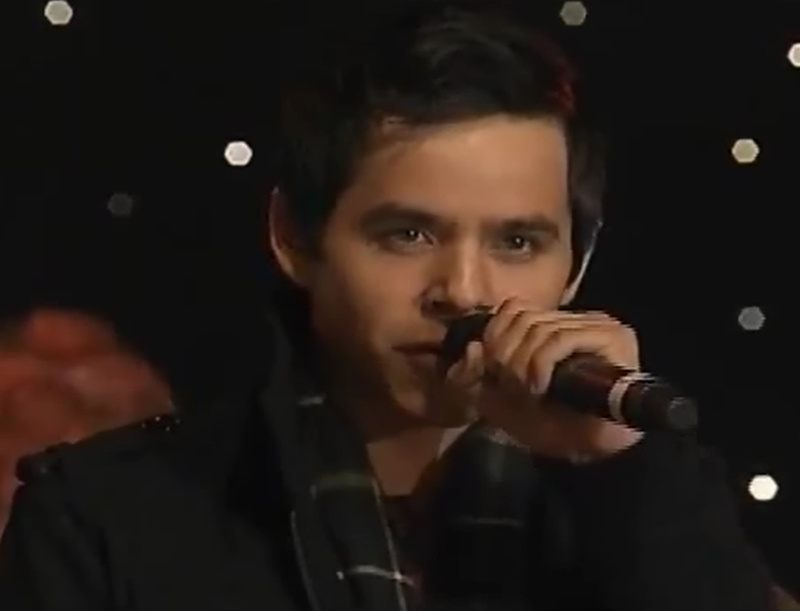 Glad Christmas Tidings gives Archuleta his fifth Billboard No. 1, lifting him out of a four-way tie with Kris Allen, Kellie Pickler and Elliott Yamin, who all have four chart-toppers to their credit. This is the 396th No. 1 for the Idol franchise and comes just one week after Phillip Phillips and Mandisa added three more chart-topping titles to that total. If you wish to purchase the Glad Christmas Tidings CD or the Live Concert: Glad Christmas Tidings DVD, check out the left side bar. Oh my gosh!!! I love that article!!!! Yay David!!! Look at all the media reporting! 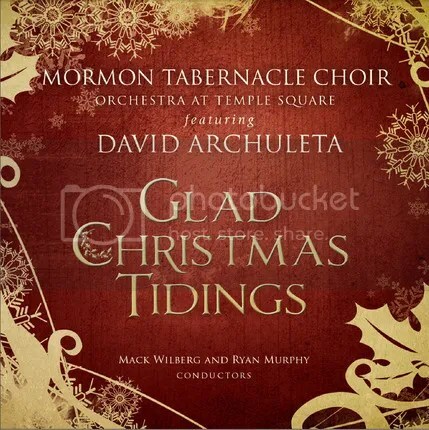 Congrats to @DavidArchie & @MormonTabChoir for having the #1 Classical album on @billboard charts! Thanks for letting me be a part of it! And please join in the WWTT Party if you can!!!!! WWTT for for @DavidlArchie in 2 1/2 hours. 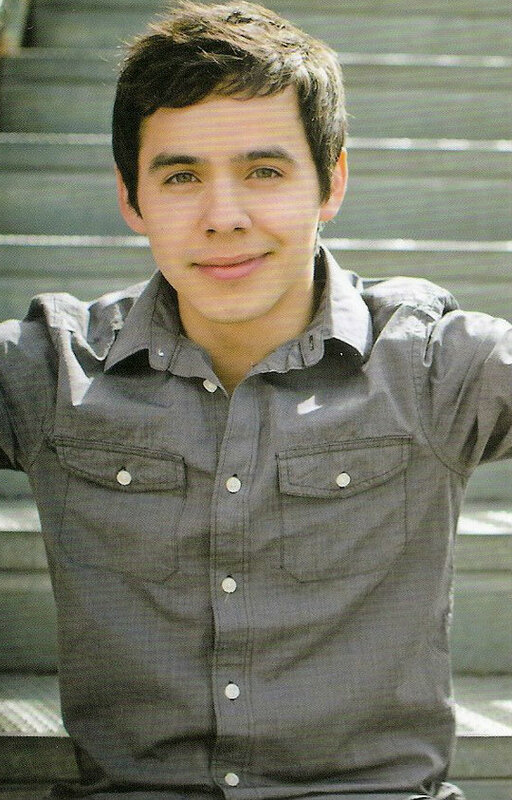 Always In Our Hearts David Archuleta.Please join us.if you can. Congratulations to David! He isn’t here and is getting accolades! WTG!! I don’t know why this song was left off the official MoTab video in comment #43! Thanks to everyone who participated in the Trending Party tonight, we trended Worldwide and in the United States! #43 – thanks for bringing that dja – WOW! HAHAHA I told all of you I bought a “bunch” of GCTs! Good for David. Lucky world to have more copies of GCTs in it! Wow! 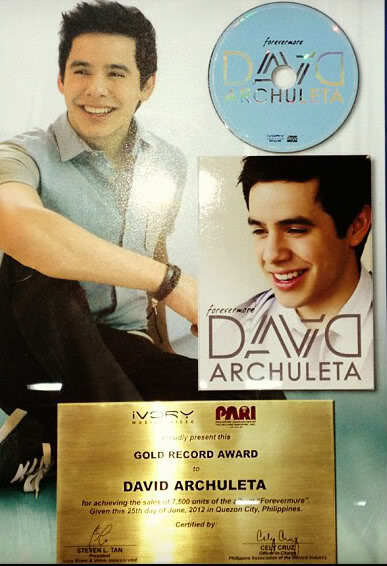 Never dreamed that the 5 more cds I bought would make David #1 again! AWESOME!!!!! Whoa!! Trending and grabbing #1 while not actively pursuing a career in music. That David can do anything. And speaking of David having super powers, I was wondering about the enigma of a small body encompassing a gigantic heart. Was thinking about when David leaves Chile (a common thought here) he will always have a place in his heart for the Chilean people. And I know he has a place for people of the Philippines. And I see video of him talking to people in the UK. Surely they remain in his heart. The invisible children. The lepers whose feet he bathed. The musicians he has enjoyed working with. People he met in Honduras when he visited there with his mother. Surely he has a big chunk of heart for his family. I think his mother has the penthouse. There is a place in his heart for his fans from all over the world, even me. Every time I met him I could feel the love in his heart for all of us. This heart has got to be unlimited in size. And there has got to be a sizable place for his kind of perfect special someone he has not yet found. Where will he find room for his other equipment, like lungs and tummy? No wonder he only has one working vocal chord. No room for 2 of those to be moving around. FINALLY!! David does the Dougie!! Help!!!! I need someone to pick me off the floor!!!!!! HELP!!!!!!! I have a frozen smile on my face!!! Ay carumba!!! Oh, I think that video in #53 needs to be FIXED–Abrra-style! I am thinking this might be up for discussion on chat tonight. Perhaps. Finally we see David dancing the dougie!!!!!!!!!!! What a great unexpected surprise! Didn’t think David was ever going to allow it out!!! David’s Dougie has done me in. Beautiful pic at #63. It was like my scroller was broken and refused to leave it. Haha David Enchilada! Love it! Spicy nacho!